Facebook recently announced they now have more than one billion active users each month. The number is truly astounding if you consider the size and scope in comparison to other popular social networks worldwide. The 1 billion number marks an increase of 45 million users since July 2012, when they reported that 955 million people use Facebook. 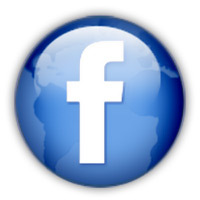 In the United States alone, surveys have found that 42% of Internet users have a Facebook account. With a user base of that scale it is no wonder that businesses continue to move towards the social network to engage their customers and capitalize on the marketing opportunities that have developed through Facebook exposure. For all of the talk about stock price issues, privacy concerns, and claims of over saturation, the social media giant continues to grow and continues to stay relevant for both its users and businesses alike. In honor of the occasion, Facebook has released their first video ad campaign. They worked with Wieden + Kennedy (most well known for their Nike commercials) to develop the 30 second promo. Celebrating a billion people is very special to me. It’s a moment to honor the people we serve. For the first time in our history, we’ve made a brand video to express what our place is on this earth. We believe that the need to open up and connect is what makes us human. It’s what brings us together. It’s what brings meaning to our lives.